After fixing a few bugs, and introducing a couple more features, we’ve released the first “official” (i.e. 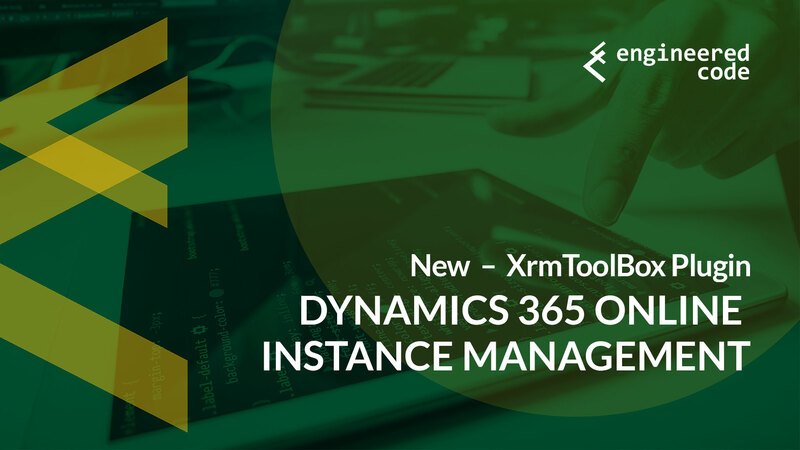 non-beta) release of our XrmToolBox Plugin for the Online Management API. The plugin now allows you to provision an instance, as long as you have available licenses. Even if you don’t select the Sales or Customer Service apps, those entities will still exist in your instance. 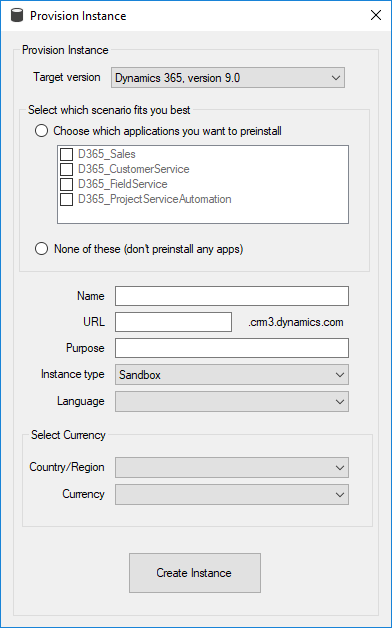 In a future version of Dynamics 365, those applications will be separated from the core platform, but that isn’t the case right now. It takes a minute or two for the license to be freed up after submitting a delete request. So if you’ve just deleted an instance in order to free up a license, there is a bit of a delay between when a deleted instance disappears from the list, and when you are able to provision a new one. We now give you a few more options with regards to configuring Admin Mode on Sandbox instances. 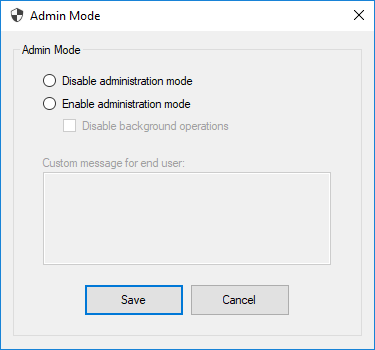 Whereas before you could only enable or disable Admin Mode itself, now you can also enable or disable background operations, as well as enter the text for the custom end user message. Unfortunately, because the API doesn’t tell us whether background processes are currently enabled or disabled, we’ve decided just to leave all fields blank when form first pops up. If you browse through the Online Management API documentation, you’ll see that most of the functionality available today is included in our plugin. The only major piece missing is related to Tenant Application Identities. For completeness sake, we’ll probably add support for that eventually, but we don’t have a time table for that. Of course, if we hear from the community that those capabilities would be useful, it could become more of a priority. If bugs are reported we’ll try to get those fixed as quickly as possible, and if anyone has any feedback on how out plugin can be improved, please let us know.